VMware is often considered as a technology for data centers only, but today it is being used by small businesses to achieve many of the same benefits. Small business who've grown to a point where they need several servers running functions such as Exchange, SQL, financial packages, and file serving want the same high availability as larger data centers. Most often a single cluster running those functions in virtual machines can replace multiple servers and provide HA. Network storage, required for HA, is often the limiting factor in a high availability solution for SMBs due to cost and complexity. 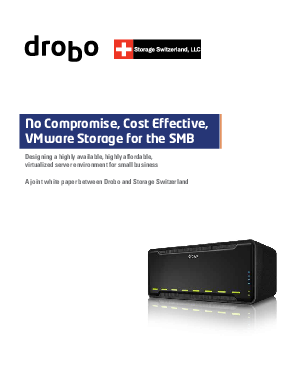 However, storage does not have to be costly SMBs take advantage of new technology on the market.